Jeff Antebi, founder of the record company Waxploitation, has spent the last 10 years collecting stories from musicians and artists for a “literary mixtape” of grown-up children’s stories. There will also be a series of short films to accompany the book, narrated by Danny Devito, Zach Galifianakis, Nick Offerman, Phil LaMarr, King Krule and Lauren Lapkus. Proceeds from the book will go to Room to Read and Pencils for Promise, two charities that build schools in poor regions of the world and promote children’s literacy. Stories for Ways and Means is a limited-edition book, available on a first-come, first-served basis. The regular edition sells for $98 and 100 copies of “The Rare Rare Rare Exclusive Signed Edition,” with autographs from Nick Cave, Bon Iver and more, go for $500. 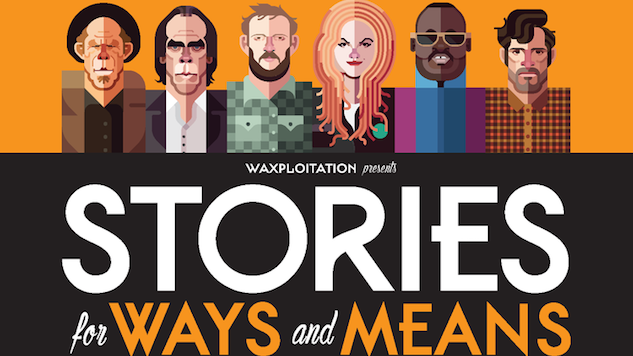 Stories for Ways and Means is available for pre-order now. If you pre-order before the book’s Dec. 12 release, you’ll get a free gift card. You can watch a trailer for the book below. Find the full list of participating musician and illustrator pairings beneath that.